Despite red ink, ACCESS embarks on Dead Sea junket! According to THE AGE today, ACCESS Ministries, the state funded parachurch ministry who publish “RELIGION in LIFE” and run 96% of “Special Religious Instruction” classes in Victorian Schools, is struggling to pay its bills, however, Evonne Paddison, its CEO, is about to head off on a luxury visit to the Holy Land, and a side trip up the Nile to Luxor itself! Canon Dr Evonne Paddison (CEO) and Bishop Stephen Hale (Chairman) from ACCESS ministries are leading a “top class tour”. Along with Dawn Penney, who holds the title of General Manager of People & Culture (???? ), will be travelling, via Emirates Airlines, and staying mainly in 5 star hotels, you know, to really experience what it was like for Jesus. Starting in Jordan the tour involves a visit to lost city of Petra, looking out from Mt Nebo, sailing on the Sea of Galilee, Nazareth, Tel Aviv, floating on the Dead Sea, experiencing Jerusalem and Bethlehem. ACCESS will visit Tabgha, where the miracle of the Multiplication took place, and visit Capernaum, the centre of Jesus’ ministries, where they will go to Mt. Beatitudes, where they will relive the Sermon on the Mount and visit the Baptismal site in the Jordan River at Yardenit. This tour is also popular with US Republicans, who were recently caught drinking and swimming naked in the same place that Jesus is said to have walked on the water. After staying in luxury resorts in this conflict torn region, the group will head off to enjoy the Pyramids of Cairo and a 3 night luxury Nile Cruise to Aswan, Luxor and Abu Simbel. At this point I’m not sure what ACCESS Ministries would have to do to make anyone raise an eyebrow. Whatever they are doing, they seem to have endless get out of jail free cards, and they seem to be able to Jedi mind trick their way out of just about anything. I guess it is a good time to be the leader of a struggling ParaChurch organization funded by the commonwealth. 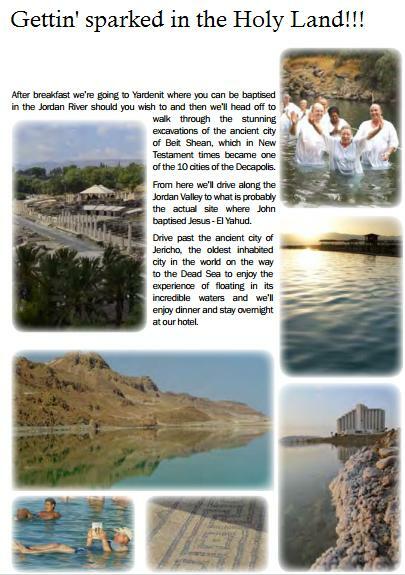 Here is a link to the brochure jordan_israel_brochure the trip costs $11,280 for a single person, or $18,360 per couple, the trip is organized by the Corporate Travel Management office located in Toorak. To me it reads that Paddison and Hale are acting as tour guides, so this looks like an attempt to raise funds for ACCESS, and not a holiday on the firm. Quite frankly I think this is disgusting selfish behaviour. They ought to be looking closer to home to raise funds. Taking a trip overseas for possible overseas donations to me says that they are failing at the task on home soil. And staying at 5 star hotels, for christians, is like Robin Hood stealing from the rich and keeping it for himself. And as much as I hope that they see the reality in what they are doing is as likely as meeting aliens in my lifetime, although not discounting the fact that it is more likely, I do honestly hope that reason and rationality are two things that they are forced to face. Like the rest of us. We would like to know if this trip is being paid for by Access Ministries (i.e. taxpayers) or the tourists are paying their own way. If it is the former, it’s outrageous and the public should know about it. People & Culture is the new name for HR. Whoa there…. I am really trying to think as to why this is being discussed. Yes ACCESS Ministries are involved in this tour however who will be paying will be those that will partake of the tours and not us taxpayers. That is unless the tour is a massive flop however there will be many Christians that will take these tours to live and experience the “holy land” that that they have studied biblically in suburbia. This most likely the profits of these tours will be the financing ACCESS Ministries debts. What right do we have to be outrageous because this is none of our business as that the protest we have against ACCESS Ministries is that the classes they take into schools that although gives the appearance as educational material it is proselytising by stealth. When I was previously a Christian, I paid for a similar tour of the “holy land” where a Bible College Lecturer was a tour guide and note that these tours are very expensive. 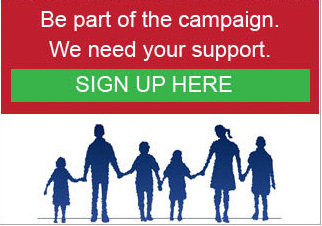 @Stephen – Thank you for your blunt posting… You might wish to know that I am equally enraged that ACCESS Ministries are proselytising by stealth to our children ergo I am equally for the cause that FIRIS has done. Please note clearly that I am an ex-Christian and I have seen the good, bad and the ugly of a number of churches in Melbourne. That being said, firstly there are NO SUCH EVIDENCE what so ever to prove either way that tax payers funding given to ACCESS has actually been transferred to this holiday. ALL you have is a holiday Brochure and an article in The Age which stated that ACCESS has made some losses over the years in which my good mate Tom R has posted on FIRIS’s FaceBook page. All you know is that they get funded by the government. You might wish to know that ACCESS gets additional funding from many different churches and they recently asked the volunteers to donate to ACCESS. I forgot the amount however in February an ex-ACCESS volunteer made that statement. Unfortunately we both have no way of knowing until see the evidence until the AGM of ACCESS Ministries and that won’t happen until next year. I cannot provide you with the evidence however what I have to offer is my experience from being heavily involved in a number of big churches in Melbourne, Youth with a Mission and Youth Alive to know that churches and organisations use these pilgrim trips (or even camps) as fund raisers meaning that the price of the pilgrimage trips usually includes the expenses of the tour organisers. There are plenty of cashed up Christians that feel guilty that they are stuck in their suburban churches that a pilgrimage trip to the “holy land” helps them with their further understanding of their Christianity. These trips are very expensive and the hotels they put you in are not the best quality. Churches often “encourage” or you can say manipulate their congregation into taking these trips because the more people means cheaper hiring of coaches (the coach hiring cost the same for 1 passenger or 40) and hotel bookings etc. meaning more profits to the church or the organisation. I have personally taken three trips when I was once a Christian to China, Vietnam and also made my pilgrimage to the holy land of Jordan, Israel and Egypt and they were extremely costly. Lastly and most importantly is that this web site is used as evidence in VCAT for our case to stop SRI in public schools. It is forums like this ACCESS Ministries will use against us by saying that all we are a bunch of “Christaphobes” with nothing else better to do but to pick on their “lessons in morals” which we all know is incorrect. I ask FIRIS to look at this carefully because I reservedly state that this does not do us any good especially when we give the appearance to be fighting against each other when we are from the same side. I hope that this will suffice in the mean time? So are we agreed that this is not a rort at the taxpayer’s expense, but an attempt to replenish the ACCESS coffers?